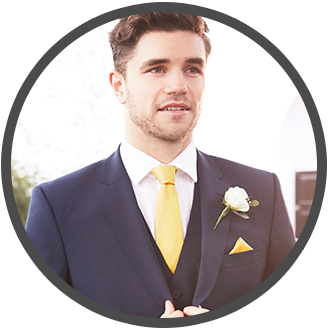 10% OFF SUIT HIRE Use promo code SAVETEN at checkout. Suit hire in just five easy steps. Be as creative as you like! Have fun with colour choices and don't be afraid to mix and match ideas. Save your favourite styles and, once you've found your perfect look, we'll send you it for a free 2 day trial in your own home, months before the wedding. 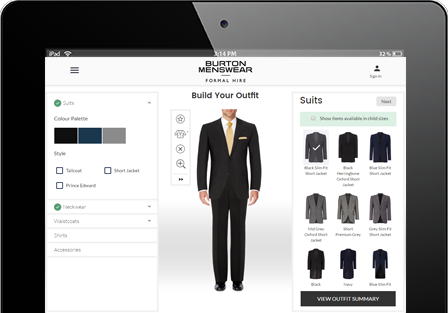 In just minutes, you can hire all your suits for your big day. 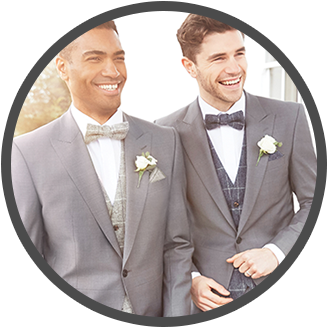 Add your groomsmen to your account and we'll email them the outfit details, collect measurements and payments, and keep everyone on track. To give you peace of mind, we'll deliver your suit for FREE over a week before your event, so there's plenty of time for us to send you FREE replacements if something doesn't fit. 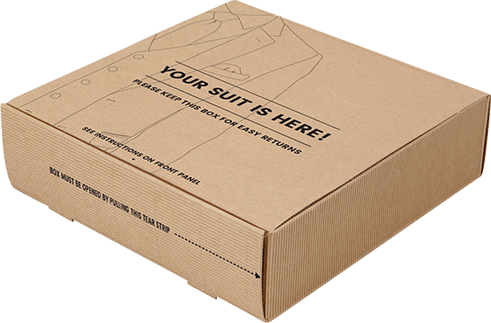 We'll collect your suit for FREE when your event is over. 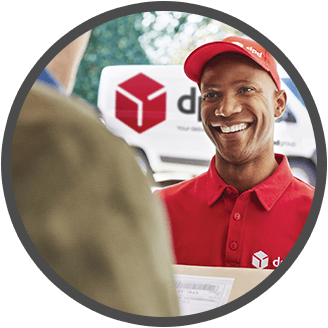 Simply pack it in the packaging provided and DPD will collect it from your home.